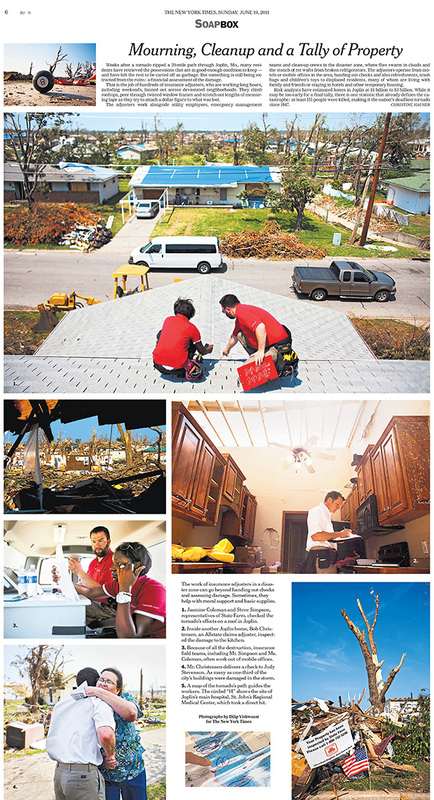 Photographer Dilip Vishwanat was embedded with insurance adjusters as they made their way through the community of Joplin, Missouri, assessing the damage done to their clients property after a tornado ripped through the area . It appeared as the monthly "Back Drop" photo essay column in the Sunday New York Times Business section. Story ideas were welcomed by photographers that chose to look at the business and finance angles of their subject.